In the Savernake Forest, Wiltshire, July. 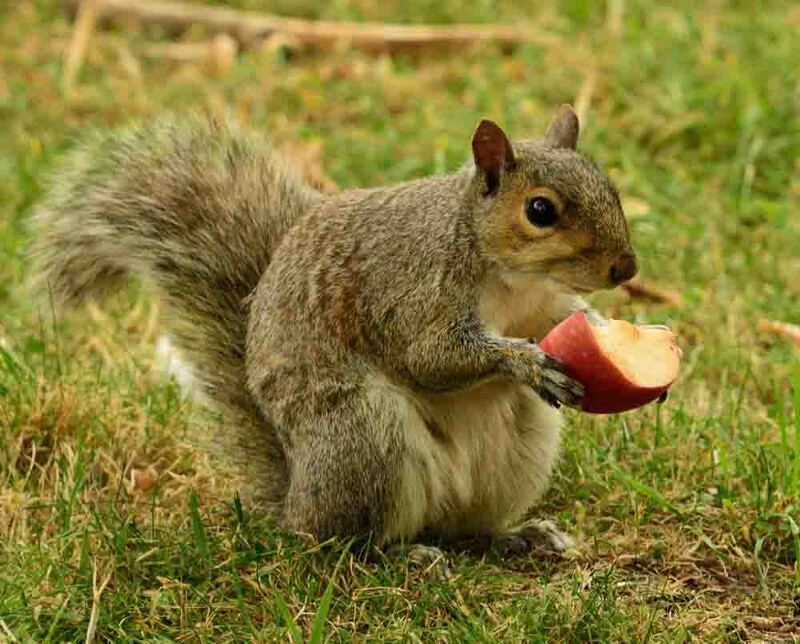 Squirrels love pear and almost anything else, as below. 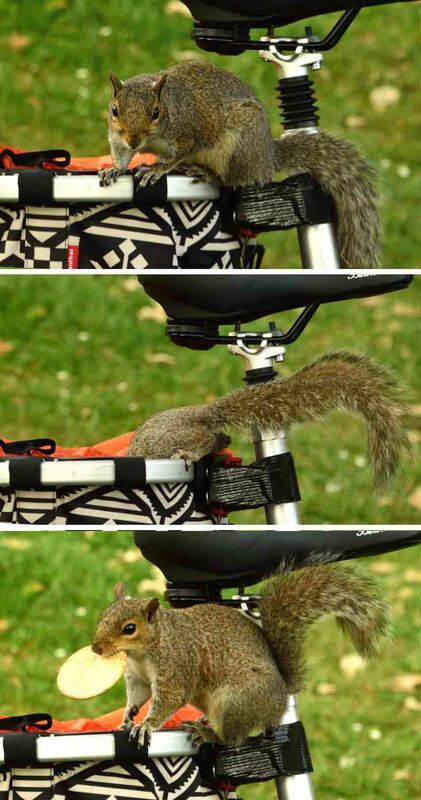 A hole appeared mysteriously in the bag of nuts and raisins in the bicycle panier. 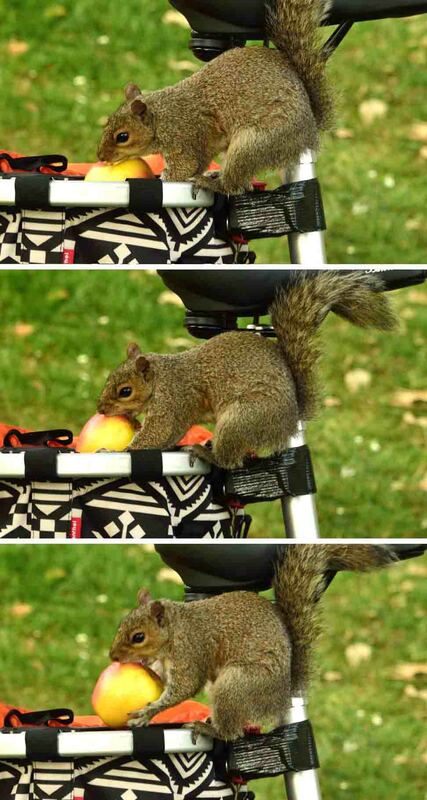 The squirrel returned to sample the oat biscuits and (below) fruit that was also there. Messages on T-shirts are an ongoing project. 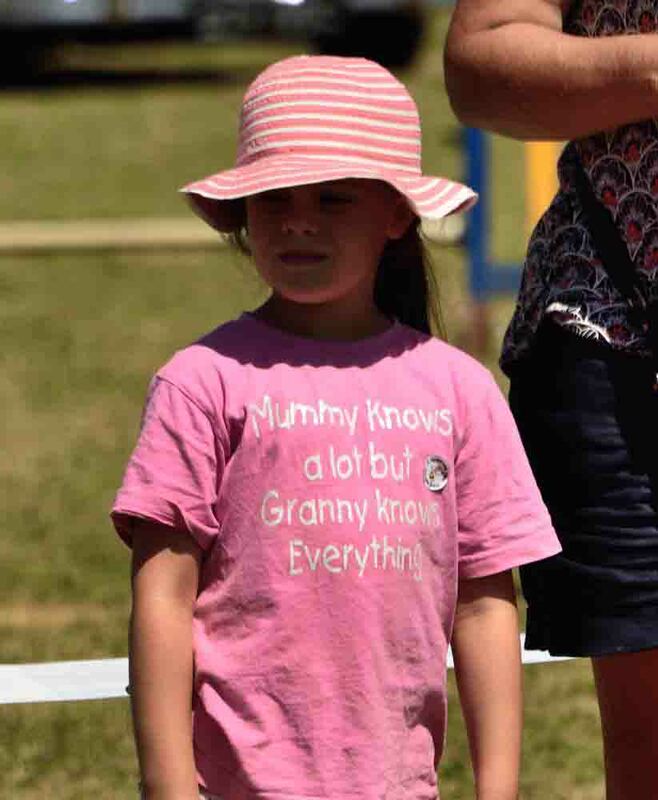 This one was captured at a local fete in Somerset in July. This shot in a sequence of six taken in Dumfriesshire, Southern Scotland in May shows the mother blackbird eying me warily and dropping the pellet she has just gleaned from the henhouse. 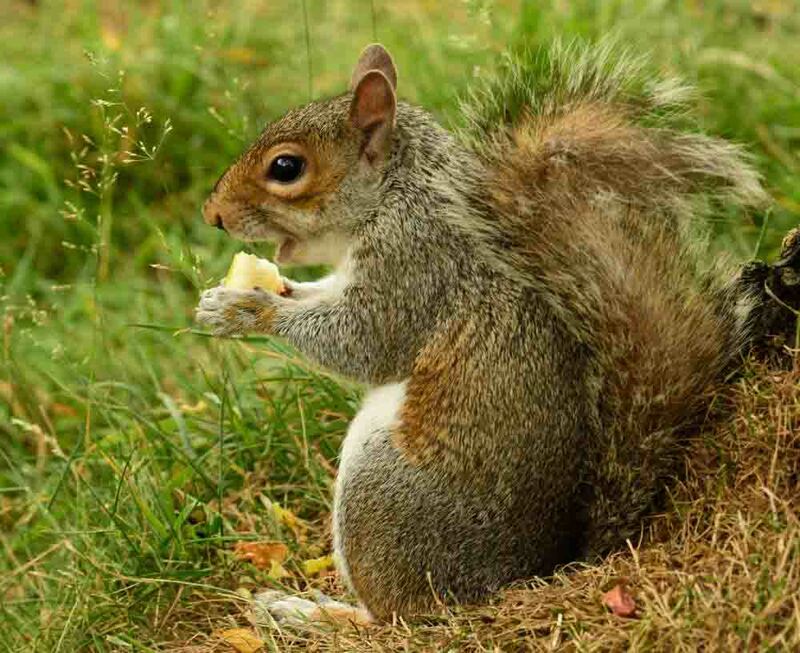 She bends foward to regurgitate more kernels of grain and in the next shot shoves it down the fledgling's throat. She picked up enough grain in one go to do this three times. The baby followed its mother around the garden to be fed like this for about three days. The galleries below show a handful of pictures that are free to use non-commercially. Credit where possible. If you need higher resolution or permission for commercial use contact me. My current camera is a Nikon D810. It's getting there with its 37 megapixel resolution. The full-frame Nikon 28-300 lens is not up to quality work but I like its flexibility. I tend to shoot in the middle range, the better focal length for the lens, and crop for the picture I want. As with all digital cameras it gives best results when placed on something firm.